We were floored by the response and turnout of the 3rd annual Basilica Farm & Flea, hosted in collaboration with the glamorous and hardworking women of Hudson River Exchange, which brought 12,000 visitors to Hudson. The wild and mythical ramp was again hailed, deliciously interpreted, and tasted at this year’s annual Ramp Fest held in collaboration with Swoon KitchenBar. Our 4th annual (FREAK) FLAG DAY presented our first-ever community flag-making workshops, so people could create flags to represent their individual identity, which may – or may not – be reflected in the Stars and Stripes. 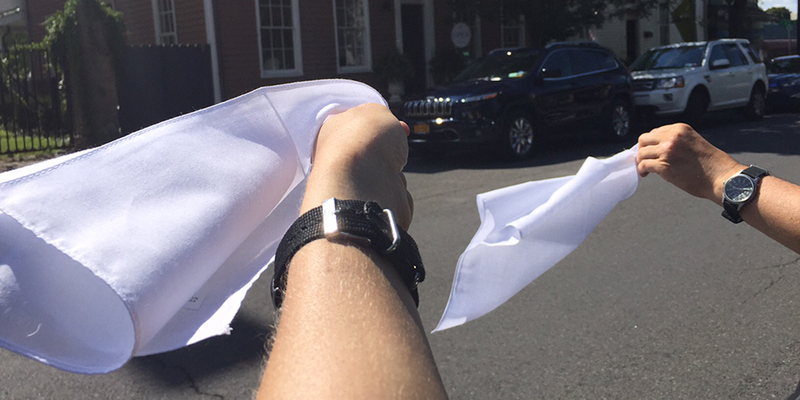 The Oral History Summer School honored six Hudson residents in an audio procession of cars departing from Basilica Hudson in Automotive Archive: A Roving Memorial. In the realm of community action, we were pleased to host and participate in the Buy Local Chamber of Commerce Expo and The Regional Alliance for a Creative Economy’s panel discussion on Creative Placemaking. And as always, we are proud to host the ever-curious children and educators of Kite’s Nest. Also, this happened. Basilica Farm & Flea, our fantastic homegrown success, continues to overwhelm and exceed expectations! 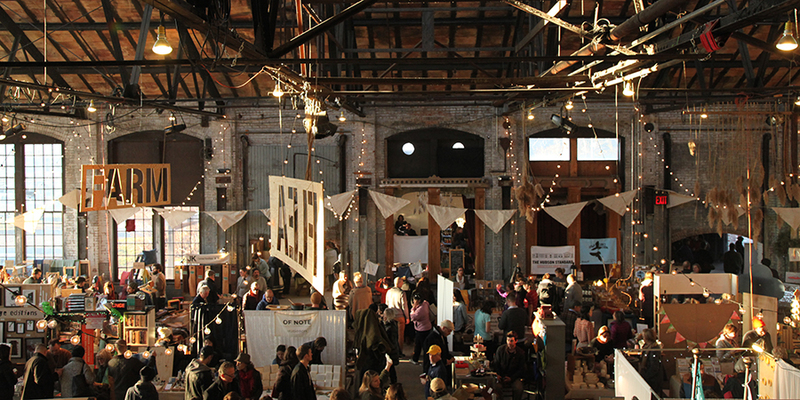 In only our second year of partnership with Hudson River Exchange, and the third year in total, our annual Thanksgiving marketplace devoted to all things handmade and vintage has seen attendance double every year. There was something for everyone to sample, sip, and sell, with over 100 vendors selling handmade and artisanal wares, local farmers and chefs, and educational workshops by textile artists, jewelry makers, and biodynamic farmers! 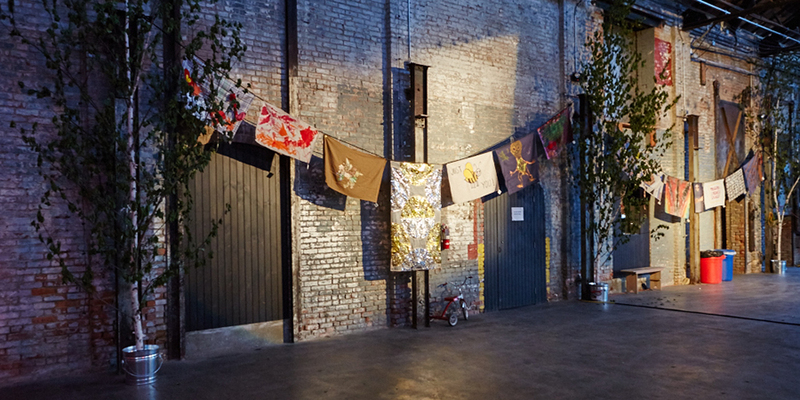 And, this year was made even bigger and better by the extension into our Back Gallery, a concept spaceco-presented by Escape Brooklyn focusing on all things vintage. With the help of our amazing roster of sponsors and our tireless event partners, we were able to bring financial and creative support to the tireless and talented farmers, producers and makers in our region. We also heard from businesses in Hudson and on Warren street that the attendendance boosted their sales as well! It was truly a #shoplocal weekend that exemplified what an organized and committed creative economy can do. Read more. 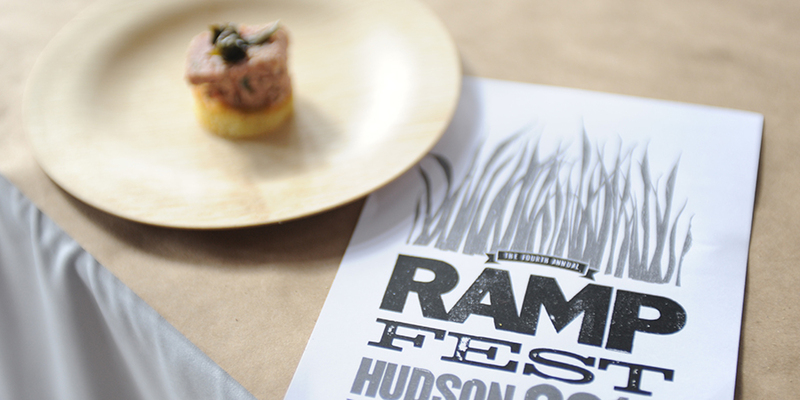 It was a feast not-to-be-missed at the Hudson waterfront as chefs from upstate New York and New York City crafted dishes that interpreted ramps at the 5th Annual Ramp Fest. Founder Jeffrey Gimmel of Swoon Kitchenbar brought together a roster of talented chefs, from restaurants including Gaskins, Market Street, Fish & Game, The Crimson Sparrow, Gallow Green, and more. Guests swooned, and danced to rockabilly music while dining on each creative bite. Importantly, this year Glynwood, Hawthorne Valley, Camphill Village, and Green Mountain Energy participated with educational and hands-on demonstrations to renew focus on sustainable agriculture, community and energy – all hallmarks of Basilica’s mission. Join us next year to enjoy these coveted, forageable spring onions of the Hudson Valley, AND to ensure that they continue to be harvested sustainably for decades to come! Read more. The City of Hudson’s annual Flag Day fireworks display, parade, and celebration is the biggest show in town and a longstanding and beloved tradition. Basilica’s version of Flag Day brings a patriotic twist embracing all of Hudson and it’s citizens in the form of a goth/darkwave dance party, and new this year – freak flag making workshops! All who love this beautiful, weird town of Hudson – farmers, children, artists, firemen, – were invited to come down to Basilica to create flags celebrating their independence and the spirit of the region. In an antidote to the typical art fundraiser, flags were flown and available for auction to support Basilica’s future arts programming. Read more. The Oral History Summer School is an incredible organization founded by oral historian and writer Suzanne Snider which trains international professionals on making use of oral history in their documentary and artistic practices. In late August, Basilica hosted the School’s Automotive Archive: A Roving Memorial, a touching tribute to memorialize six Hudson resident via a mobile sound installation in the form of an automotive procession. En masse, participating cars and passengers made a three mile loop that began and ended at Basilica, broadcasting the words and voices of Pam Badila (speaking about Elombe Badila), Lynn Carr, Harold Hanson, Christina Malisoff, Frankie Martino, and Mary Potts. We were honored to hear these narrators tell us about the Hudson they knew and loved through the audio archive they left behind. Read more. As a driver of the local economy and as an emerging non-profit in the City of Hudson, we are greatly interested in sustaining the creative ecosystem that surrounds us. The area’s rapid development has brought a passionate and original community together and revitalized the local economy, but also thrown into sharp relief issues of gentrification and inclusivity. As new creative placemaking efforts take root in neglected areas, how do we ensure that residents share in the economic benefits they generate? The Regional Alliance for a Creative Economy and The Capital Region Creative Economy Initiative posed the question in a panel discussion we were proud to host and attend. They are doing important work in our area – please check them out at upstatecreative.org and follow their progress! BUY LOCAL IN COLUMBIA COUNTY! In the same realm of community action, we again hosted The Buy Local Business Expo, produced by the Columbia and Greene County Chambers of Commerce. The annual expo is the largest collaborative business-to-business trade show in the area, highlighting county businesses and their products and providing an indispensable outlet for small business promotion! Hudson River Exchange, Kites Nest / Alimentary Kitchen, John Doe Records, Like Minded Objects, Swoon KitchenBar, Hawthorne Valley, Camphill Village, Glynwood, Green Mountain Energy, Upstate Diary, Columbia County Tourism, Oral History Summer School, Shannon F, Columbia County Chamber of Commerce, The Regional Alliance for a Creative Economy. Basilica Farm & Flea by Akemi Hiatt, Basilica Farm & Flea Timelapse by Akemi Hiatt, Ramp Fest by Akemi Hiatt. Flags by Kate Orne. Audience and Power Animal Systems by Tito Echevarria. Automotive Archive by Suzanne Snider.